In Hindu culture, the Mahabharata holds a great significance; it can be read as a scripture, an epic, a moral fable (though a long one! ), or just as a family saga. However, for most Hindus, the various facets of human nature in the Mahabharata serve as guidelines on the nuances of Dharma too. I have read several different versions of the Mahabharata, including those by C. Rajagopalachari (my favourite) and Devdutt Pattanaik. 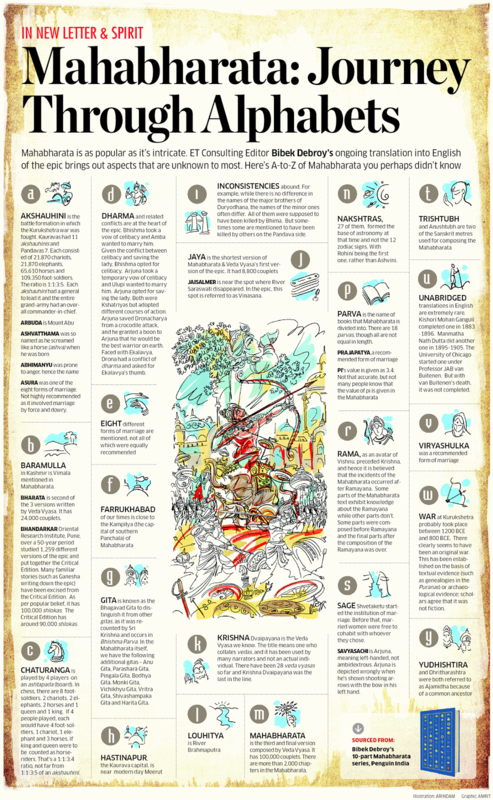 Check the The Economic Times graphic, featured below, on the Mahabharata. Five, not the usual four, reads for your Sunday! The global economic turmoil is taking its toll on the emerging economies. 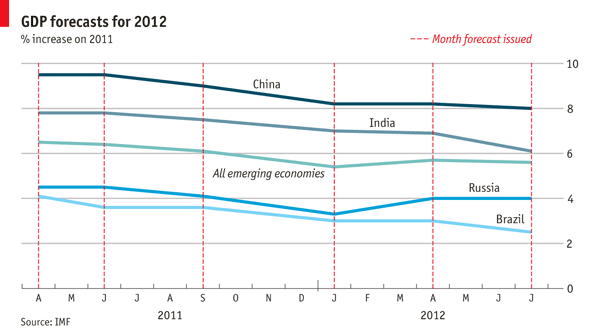 The Economist has an interesting graph on the GDP growth rates of the BRIC economies. After a dream decade, something is amiss. China is struggling to grow as fast as 8% (its GDP expanded by 7.6% in the year to the second quarter). India, a country that once aspired to double-digit growth, can now only dream of ridding itself of double-digit inflation. None of the biggest emerging economies stand on the edge of a dramatic precipice, but their economic prospects have nonetheless started to head downhill. [...] But it is not simply a demand-side phenomenon; the underlying rate of sustainable growth may also be less impressive than previously thought. As the IMF pointed out this week, the last decade or so may have “generated overly optimistic expectations about potential growth”. The regular Mid-Week Reads will not be published today. I suggest you check out Infographic Label on this blog. Presenting the Sunday Reads China Special Edition! Playing with fire: Obama's threat to China. (AlJazeera) This is a Dec 2011 article but very topical today. Why China can not adjust. (Project Syndicate). 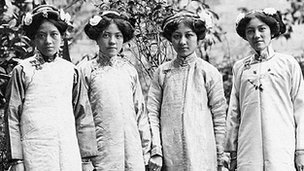 Audio-video slideshow: Check this awesome BBC photo feature, with commentary, capturing China's past. In the regular Sunday Reads column, I publish a collection of four reads and a slideshow. However, today's collection is rather different, with just two incisive reads. But I am sure this two-article collection of reads will keep your mind occupied for the next few days. Microsoft’s Odd Couple. 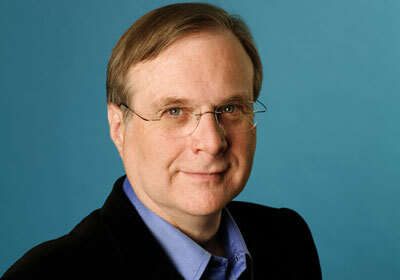 Paul Allen, a co-founder of Microsoft, writes on his stormy relationship with Bill Gates and how MS was built. One day he showed me the magazine’s special annual issue and asked me, “What do you think it’s like to run a Fortune 500 company?” I said I had no idea. And Bill said, “Maybe we’ll have our own company someday.” He was 13 years old and already a budding entrepreneur. I strongly recommend this illuminating six-page excerpt from the memoir of Paul Allen at Vanity Fair. Hardly. Because of its longstanding disputes with Beijing, U.S. policymakers have hoped that New Delhi would join Washington in balancing against China. But though India has had significant quarrels with China, it remains extremely skeptical of the U.S. "pivot" to Asia and of playing any part in an American strategy of containment. Many Indian elites fear that joining the U.S. effort would simply provoke China's wrath, and their obsessive concern with policy independence, deeply rooted in India's political culture of nonalignment, reinforces the unwillingness to make common cause with the United States. Read the complete piece on the Foreign Policy website. This week has seen the announcement of the discovery of the Higgs-Boson, the elusive 'God' particle. Here's a Guardian short video talk on what the Higgs-Boson is all about. We all know non-verbal communication plays an important role in almost all types of interviews, including job interviews. 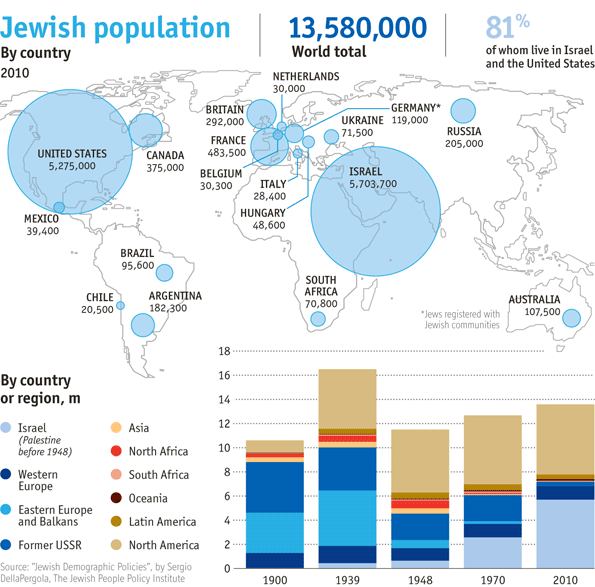 In this context, let me share this sort of interesting infographic, which I found at Visual.ly.